But XRP was not going to die without a fight. Just yesterday, August 18th, it was valued at $0.37 which is a 42.3% gain from the lows on August 14th. XRP is currently valued at $0.347 and up 10% in the last 24 hours. Firstly, all the attention is on Bitcoin (BTC); the CBOE ETF; as well as the Bakkt company by the Intercontinental Exchange. Bitcoin has stolen the show and even increased its dominance in the markets to over 50%. Everyone is eyeing for BTC to make some major moves. Once it does so, alts usually follow suit and do massive gains that are greater than those of BTC. Therefore, XRP is sure to gain more relative to the expected BTC performance in the markets. Hypothetically buying XRP at $0.35 and having it make it to $0.90, is a gain of 164%. BTC cannot do a similar gain in value in the same time span. Secondly, the Ripple company has already convinced the global banks that its software solutions of xRapid, xVia, xCurrent and RippleNet are far more faster and efficient than traditional SWIFT. Brad Garlinghouse was quoted back in June as stating that dozens of banks will be using their products by 2019. This means that xRapid – that uses XRP – will be one of those solutions. Demand for XRP will go up as is expected be seen with Bittrex, Bitso and Coins.ph providing instant liquidity for XRP. Thirdly, the XRP community is like no other. They support the coin and the Ripple company through thick and thin. The XRP community has even petitioned Binance, via Twitter, to add XRP as a base currency on the exchange. This means they are very much proactive. Which means they are buying and HODLing. XRP can only continue to increase in value with less of the digital asset in circulation. Fourthly, rumor has it that Ripple wants to merge all three products of xVia, xRapid and xCurrent into one convenient solution for banks and remittance service providers. 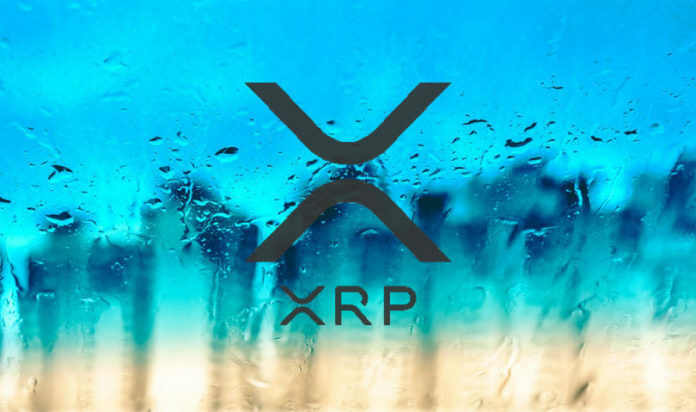 This means that once again, XRP will be the utility coin to facilitate transactions in all three Ripple products thus driving up demand for the digital asset. In conclusion, the digital asset of XRP has a lot going for it as we walk into the second half of 2018. The recent market decline by the delayed ETF, has contributed to the entire crypto-market reaching the lowest of lows this year. Some have argued that we have reached bottom; others are for the suggestion that cryptocurrencies do not need an ETF. Either way, the only way is up for XRP and the crypto-markets moving forward. Next articleCan Security Tokens Save Crypto From the Bear Market Blues? Litecoin Price Analysis: LTC/USD’s Upside Break is Real?